Historic Waxahachie, Inc. has recently embarked on its latest project to preserve Waxahachie history. 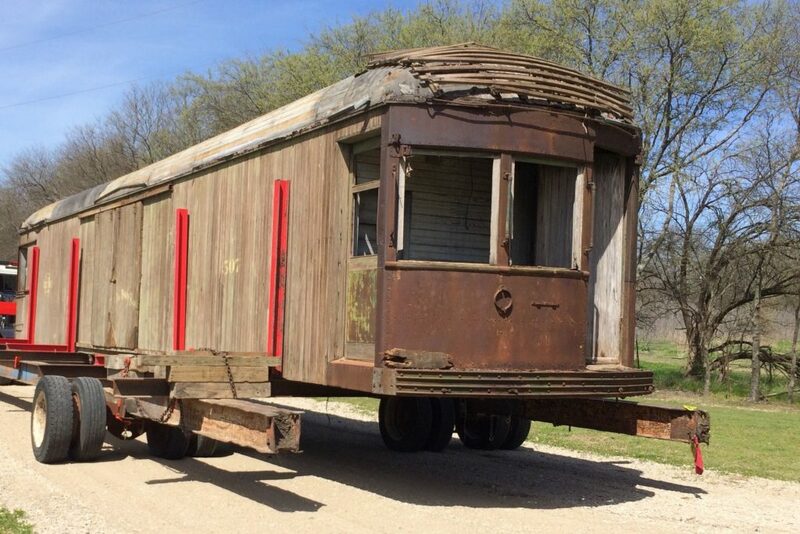 In January 2018, HWI purchased a 100 year old Interurban freight car from a private owner in Palmer Texas. 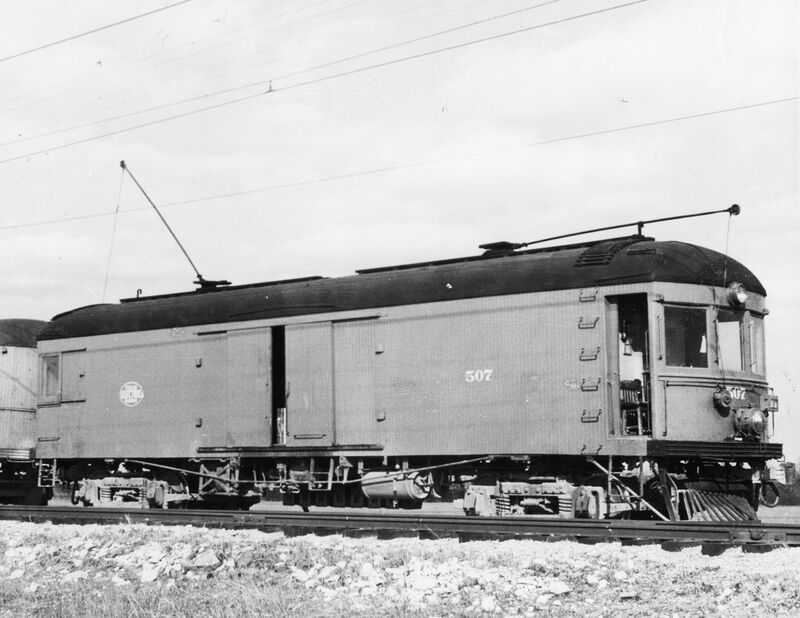 The car that was purchased is the original 507 freight car which was part of the Texas Electric Interurban Railway system that ran from Dallas to Waco. HWI is fully funding this project. HWI plans to restore the freight car and donate it to the City of Waxahachie so it can be viewed and enjoyed by the community and tourists. 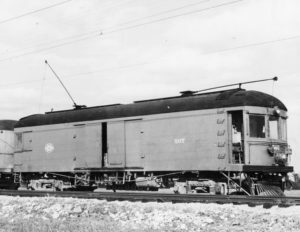 HWI wants the public to learn about the history and significance of the Texas Electric Interurban Railway and its importance in Ellis County during the early 1900s. A prominent former Waxahachie resident, J.F. Strickland, was instrumental in bringing the Interurban Railway system to the area. Mr. Strickland founded the Texas Traction and Southern Traction Railway that later merged to become the Texas Electric Railway. He was also the founder of Texas Power and Light Company, Dallas Power and Light, and the Dallas Railway. 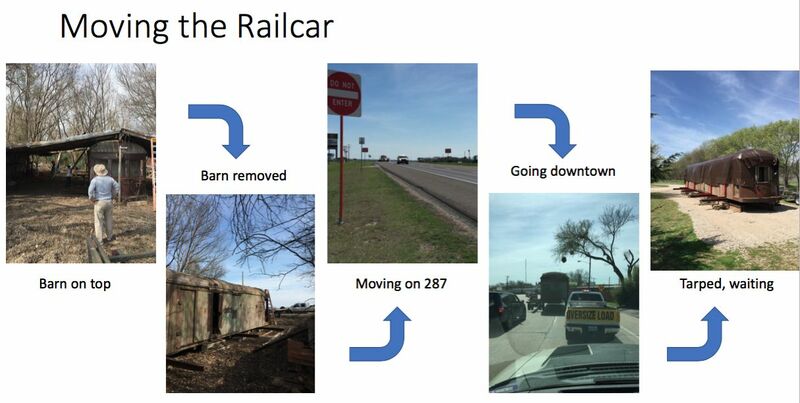 In March 2018, the freight car was moved by McMillan Movers, who typically move houses, from Palmer to a temporary site at the City Convenience Station. The 25 ton freight car, made primarily of wood, will be carefully restored at the Convenience Station. The restoration is expected to take about a year. After the restoration, the car will be moved again to its permanent location in Downtown Waxahachie near the new amphitheater. The Dallas to Waco Interurban Railway line first came to Waxahachie in 1912. The Interurban provided an alternative and modern form of transportation in a time when the primary travel method was horse and buggy. In addition to travelling to multiple communities, the Interurban also provided local street car lines for transportation within towns. 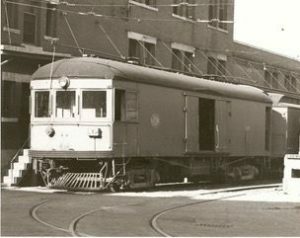 With the increase in automobile usage, the last Interurban car ran in Waxahachie in 1948. Historic Waxahachie, Inc. would like to thank Colonial Restoration, McMillan Moving, Johnnie Myers, The Plano Interurban Museum, George Cole, David Hudgins, Ron Finch and the City of Waxahachie for their support and commitment to the success of this project. Watch this space for updates as HWI continues to make progress on the freight car restoration.